Donna L. Longhouse - Tampa Full-Service Law Firm | Allen Dell, P.A. 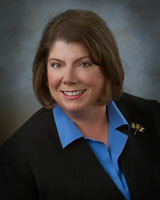 Donna Longhouse is a shareholder with the law firm of Allen Dell. Ms. Longhouse practices exclusively in the areas of tax, trusts and estates. The Legal 500 United States, 2013 edition, area of Tax, Domestic-East Coast.